Here's me and Kai on the new Seadoo that my dad bought! It seats 3 people and can pull a waterskiier...fun times. 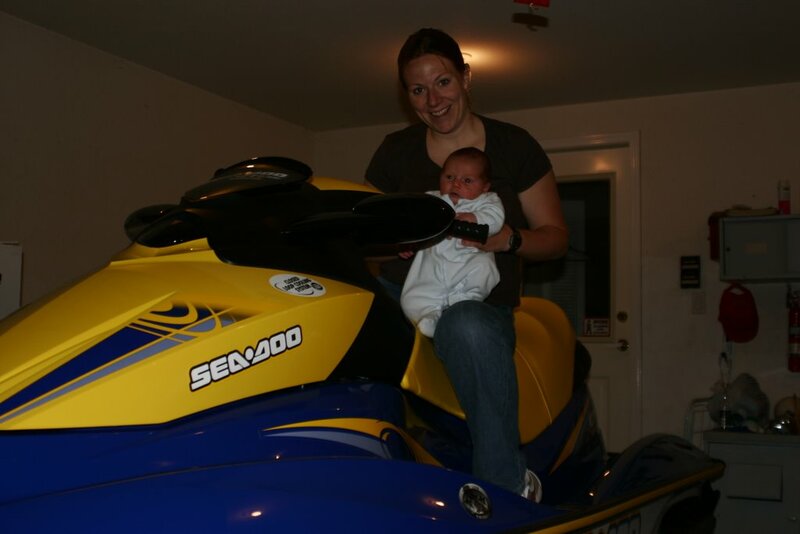 I love SeaDoo's- it brings out the crazy one in all of us! That's a fast one if it can also pull a skier and 3 people. What a handful your mum and dad must have had with 5 girls!! (still have???)!! yeah I can't wait to go...when are we going again? Not to tell you how to parent, or anything, but I really don't think it's safe to take Kai out on that thing.